Great Retail/Food/Personal Services With off street parking. Wonderful opportunity to become part of Beverlys revitalization of Rantoul Street. Stand-alone 2208 square foot 4 bay garage with great exposure on busy Rantoul Street. High traffic counts 30K per day. 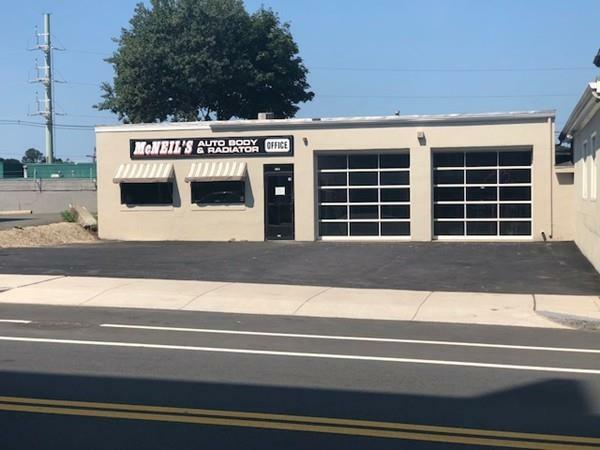 Prior use was automotive repair business the location offers the potential for a change of use. Zoned CC, Central Business District allows many uses by right or exception. Located minutes from Beverly Depot (Commuter Rail), Down Town Beverly and Water Front District. Property is a 4500 square foot lot with approximately 50 feet of frontage has off street parking for 8 vehicles. Office space is approx. 1183 SF with 2 bathrooms. Building has 2 heating systems in place. Office is HVAC system (hot air and air conditioning - approx. 15 years old) The garage area has over head Modine. Both by gas. Property has test well and compliant 21E report. Shown by appointment only. Listing courtesy of Richard Vincent of Keller Williams Realty. Listing provided courtesy of Richard Vincent of Keller Williams Realty.